The holiday season is always our busiest time of year. 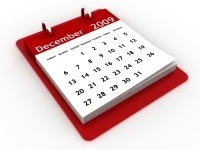 A good portion of our business comes between September and December. Building furniture is a complicated matter, especially when you have dozens of styles and over 200 fabrics. We can only really make an educated guess as to what particular combinations will be popular. One of the key aspects that we focus on is making sure we don't promise something that we cannot deliver and as the Christmas approaches this can become next to impossible. You'd think in this day and age that computers could automate much of this, but as we've learned over the years that only human ingenuity will do. Luckily, the staff at Carrington Court have become experts in what I like to call "fire fighting." Most customers will never know the lengths that these people go through to get their orders to them on time. I'm truly grateful that we have people that will go the extra mile. Most of what we face has very little to do with production (the actual building of furniture). With the necessary materials on hand we can get most orders built in a day or two. What causes us the most headaches is ensuring we have all the pieces. Consider this: we have many different styles of frames and our fabrics come from over a half dozen manufacturers. Add to this the vagaries of shipping and it is pretty easy to see where things can fall apart. Our number one hurdle is usually fabric. We try to keep everything in stock, but in reality this is very hard to do. There are often long lead times and there are inevitable gaps where we run out of fabric while waiting for the next roll to arrive. Over the last few years the textile industry in the U.S. has suffered tremendously. I can't tell you how many times we get an shipping date on a fabric that gets pushed back and then pushed back again, only to get a notification that the mill has decided to drop it. At the same time we have a customer patiently waiting for their order, anxiously looking forward to having family or friends over for the holidays. So how do we handle this type of situation? We have to beg, borrow or barter. To be honest we put a lot of pressure on the mills. It's not like we are a multibillion dollar giant that has a lot of sway, but the squeaky wheel gets the oil. If we exhaust our options with the mill, we try to find other manufacturers that may have ordered the same fabric and try to buy it from them. This takes a lot of leg work, but it is something that we occasionally do. If we hit another dead end, the next step is scouring through retail fabric shops trying to find anything we can. This is something that we don't particularly like to do. It is very time intensive and paying retail prices for fabric will pretty much kill any profit from an order. Our final option is to call the customer and try to move them into another fabric. Once at this step we've often discovered fabrics that are similar to the one ordered and nine times out of ten this is something that the customer has no problems with. The other problem we run into with holiday deadlines is shipping. We ship by many different sources including FedEx, common carriers and home delivery services. We pick the the fastest, most affordable way to get a particular type of furniture to you. FedEx Home Delivery is often the fastest route and we can reliably estimate the arrival date. Unfortunately, anything larger than a standard sized parsons chair or dining chair is too big to ship. The weather can play havoc on FedEx. A snow storm can delay a shipment a day or two and at Christmastime this may be a day too long. Home delivery services are frequently used for oversize items or very large orders. These services have a longer transit time than FedEx and we can never be sure exactly when a truck will be in a customers area. The closer we come to Christmas, the more we must focus on shipping. When using FedEx, we always build in a day or two extra time in transit just in case there is a delay. With home delivery services we work closely with the shipper to ensure that the customers order gets on a truck in time to be delivered. Frequently this means one of our employees loading up their SUV or pick-up and rushing down to the shipping company to get on the "last truck out." One other option that we use is common carriers. They are fast like FedEx, but only offer curbside service, unlike a home delivery company. Using a common carrier takes a lot of research. You have to find one that actually ships to an area where the customer lives. In addition not all do residential deliveries. On top of that, pricing a transit times vary greatly. Carrington Court has been selling directly to the public from our website since 1997 (in business since 1984). With each passing year we get better at this complicated ballet. While no year goes off without a hitch, we will continue to do everything possible to make our customers experience as smooth as possible. I know that some may not be interested in knowing what goes on behind the scenes, but I just wanted to take the time to acknowledge and thank all of our team for their hard work.